A new collaboration with Zine creator, publisher and illustrator, Owen Plummer has injected a little bit of multi-coloured youth to Luella tees, bags and brooches. 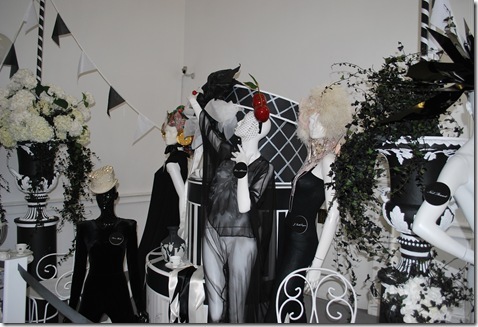 Currently on display at the Brook Street store, the quirky crazy prints and doodled designs are a far cry from the more ‘grown up’ collection and Minnie Mouse shapes that Luella showed us on Monday at LFW. We’ve all seen the pics that circulate the web and yes Christopher Kane, Topshop and Luella were amazing but not ones to follow the crowd we thought we’d share a few of the more random and special moments of LFW. 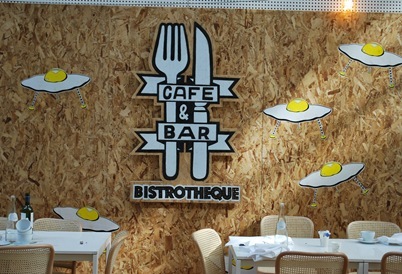 Bistrotheque cafe & bar at 180 The Strand. Amazing slices of cake and great tacos. 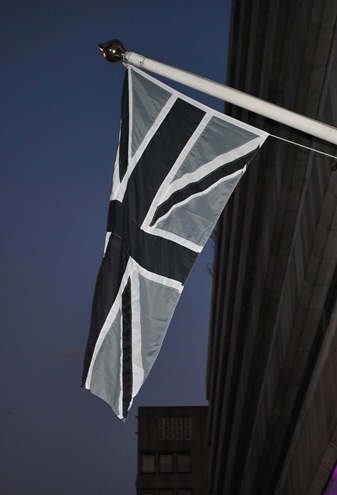 The black and white Union Jack’s that hung proud around the venue. 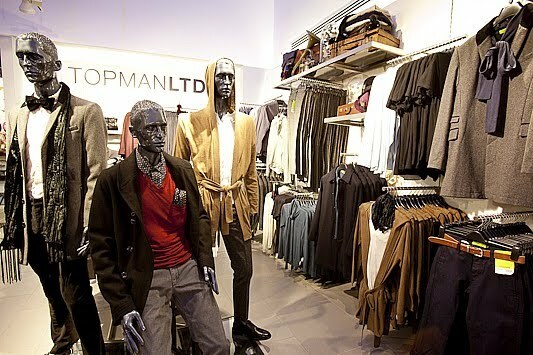 Very ‘anti-fashion’. 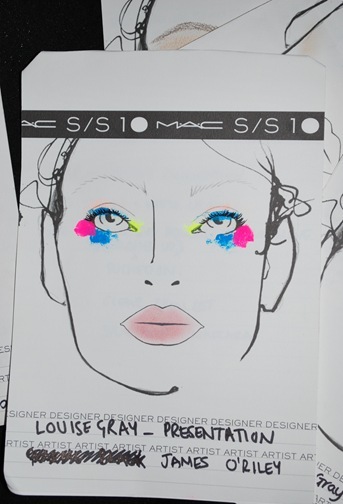 MAC’s makeup sheet for Louise Gray’s presentation makeup. 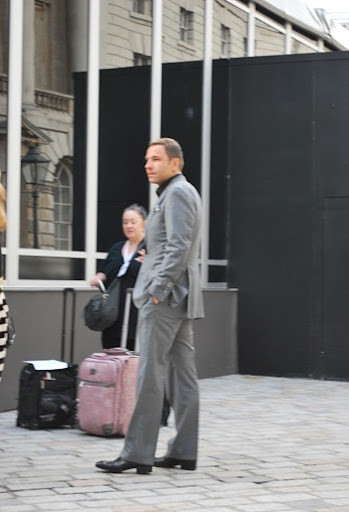 Not quite Posh (who we thought may be in the parked car behind the tent) but Mr. Walliams no less looking rather suave! 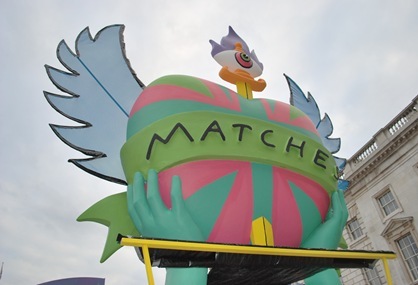 The Matches stand at LFW designed by the brilliant Gary Card. The bright garish colours looked great set against the palatial courtyard of Somerset House. 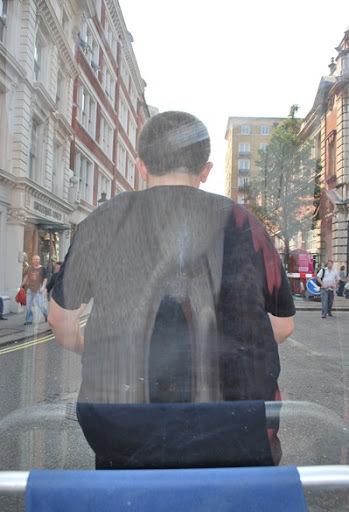 From behind- our man taking us in the complimentary Rickshaw to the pop up Armani cafe on St. Martins Lane. Poor waiter misunderstood our order 3 times! Result- 3 free Armani cocktails. Yum! Me having just had my makeup done by the lovely Louise at MAC. Giant pink inflatable mouse? bear? er not too sure but looked good in the main stairwell at 180 The Strand.